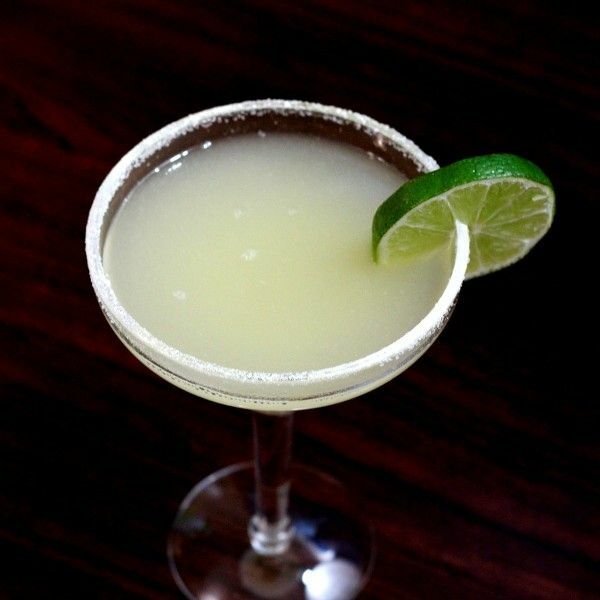 The Presidential Margarita adds brandy to the usual tequila, Cointreau and lime juice mix. The result is a slightly sweeter and more full-bodied margarita. This drink is particularly nice after dinner or in the evening because it’s a fairly stiff drink, good for when you’re ready to kick back and relax. Rim a margarita glass by rubbing the lime around the edge and then pressing it into a saucer of coarse kosher salt. Pour the other ingredients into a cocktail shaker full of ice and shake well. Strain the mixture into the glass and garnish with a lime wheel.